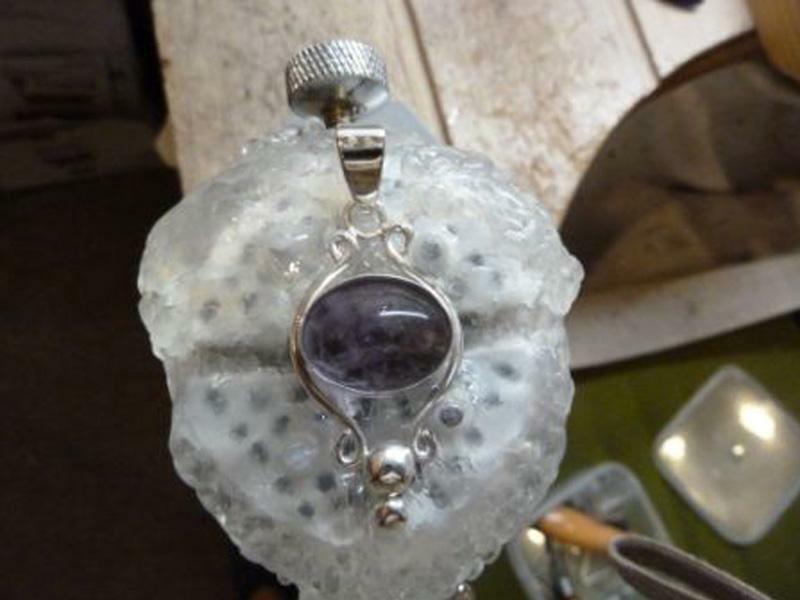 Llianne used Plastimake to hold a pendant firmly in place while she sets a stone into it. Once the stone was set she put the whole thing in hot water and peeled off the Plastimake. I am a novice jewellery maker. I was looking for something that would hold my setting in place while I pushed the silver or gold over the stone I was setting. As a lot of my settings have wire around the stone it is hard to set the stone in the setting without bending the wire. I have attached a photo of how I have put it to use. As you will see I have used Plastimake to hold the setting in place while I set the stone. After setting I simply lifted the Plastimake with the setting in it off my setting tool and placed it in hot water which allowed me to remove the pendant easily without any residue left on the setting to clean off. Thanks again for this great product.